The 2013 US Open takes place at Merion Golf Club, on the East Course in Ardmore Pennsylvania. This will be the fifth time the US Open has been held at the course. In 1934, Olin Dutra won the first US Open held here and 16 years late in 1950, Ben Hogan won the second of his US Open titles at the course. There was a break of 21 years before Lee Trevino also won his second US Open title at Merion in 1971, and then in 1981, the unheralded David Graham produced one of the shock wins of any Major event when he lifted the US Open title at Merion. 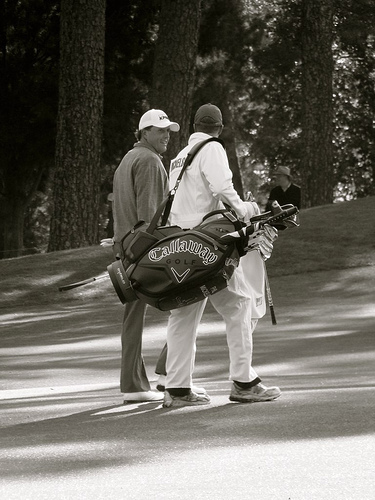 The current champion is Webb Simpson, who won the 2012 US Open at the Olympic Club, San Francisco. The 2013 US Open takes place this week at a rain swept East Course at Merion Golf Club, Ardmore Pennsylvania. With unseasonably wet weather disrupting practice rounds ahead of the event, it is more vital than ever that players go into this second Major of the season in good form. No player has been in better form of late than Tiger Woods. Having reclaimed his World Number 1 spot, Woods form this season has been superb. He’s made the cut in each of the eight events he’s played, placing inside the top ten in five and winning four, leading the FedEx Cup race with over $5.8 million in earnings. 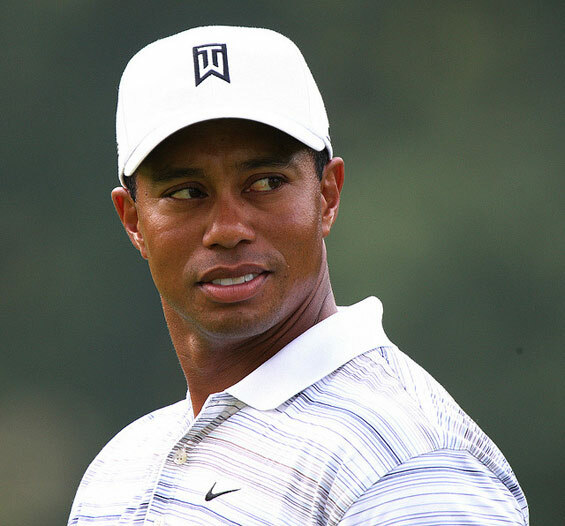 Such is his form, Woods is now an odds-on favourite with the bookmakers, but there are several other golfers who have a chance of success on what is likely to be a sodden and tricky East Course at Merion. One such golfer who may stand a chance is Phil Mickelson. The US Open hasn’t been a happy hunting ground for Lefty – he’s finished second five times and is yet to win the event, but he is bang in form coming into the event and has been electric on the greens this season, second only to Woods on the entire USPGA Tour. Add to that a game which is built upon his genius around the greens and a course that isn’t overly long and perhaps this is Mickelson’s best chance for some years to finally end his US Open jinx. Several other American stars will also fancy their chances. Mr Consistency, Matt Kuchar, is second only to Woods on the FedEx Cup points list and he has enjoyed a superb season and should be thereabouts come the final pairings on Sunday. Brandt Snedeker’s form has fluctuated a little this season but when he has been good, he has been very good and he is certainly due a big win. Jim Furyk, winner in 2003, is another who has the consistent game to be in the mix come Sunday while Webb Simpson will undoubtedly want to make a strong defence of the trophy he won last year at the Olympic Club in San Francisco. Masters Champion Adam Scott (below) and Jason Day will likely head up a strong Australian challenge while Louis Oosthuizen, Ernie Els, Retief Goosen and Charl Schwartzel lead a very strong South African contingent. European challengers who stand a good chance include the in-form Sergio Garcia, who will probably be relieved that he and Tiger Woods have seemingly buried the hatchet on their infamous spat from the Players Championship and beyond. Luke Donald, Graeme McDowell and Lee Westwood have the consistency in their game to do well at the US Open, but the erratic play of Rory McIlroy doesn’t look well suited to a course that looks to be very subtle. McIlroy’s up and down form also won’t help him and I am not sure this is the ideal venue for the Irishman to add to his 2011 success at Bethesda in Maryland. US Based Scotsman Martin Laird however could be a decent outside bet, as could the consistent play of Scandinavian Thorbjorn Olesen, who was one of the best European performers in the Masters tournament. 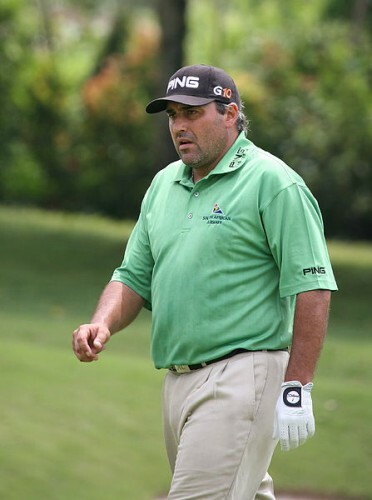 The shorter course may also play into the hands of veterans like Padraig Harrington, Darren Clarke and Argentinean ace Angel Cabrera (below). The test for golfers at this years US Open will come in many forms however. The course at Merion is relatively short, under 7000 yards, which means length from the tee will not be a priority. However accuracy will be, so expect lots of fairway woods and irons from the tee as US Open rough is particularly unforgiving. It will be on the greens however that the US Open of 2013 will be won. Golfers who can putt well on what are likely to be some of the trickiest greens of the entire season, will be the ones who find themselves near the top of the leaderboard come Saturday and Sunday. Weather conditions may play a big part in deciding who wins, with greens likely to be softer the first few days unless the course sees more rain. That may influence both who is at the top of the leaderboard and scoring, especially if the greens are receptive and the players can play target golf at the pins. The tournament starts on Thursday and join us next week for a review of how the second major of the year unfolded.